OAXACA — Business leaders and government officials said Wednesday June 29 that supplies of gasoline, food, medicines and other goods are running out in southern Mexico because protesting teachers have blockaded key highways, the Associated Press reports. Tourism is one of the key economic activities in the southern states of Oaxaca and Chiapas and it’s been hit severely by the protests. The Interior Department said that only about 5 percent of hotel rooms in the colonial city of Oaxaca were occupied. Normally at this time of year, Oaxaca is gearing up for next month’s annual Guelaguetza folklore festival, which usually draws hundreds of thousands of tourists. The department said there were severe shortages of even the most basic goods, including food and medicine, in many other areas. The supply of gasoline in the southern state of Chiapas was expected to completely run out Wednesday. 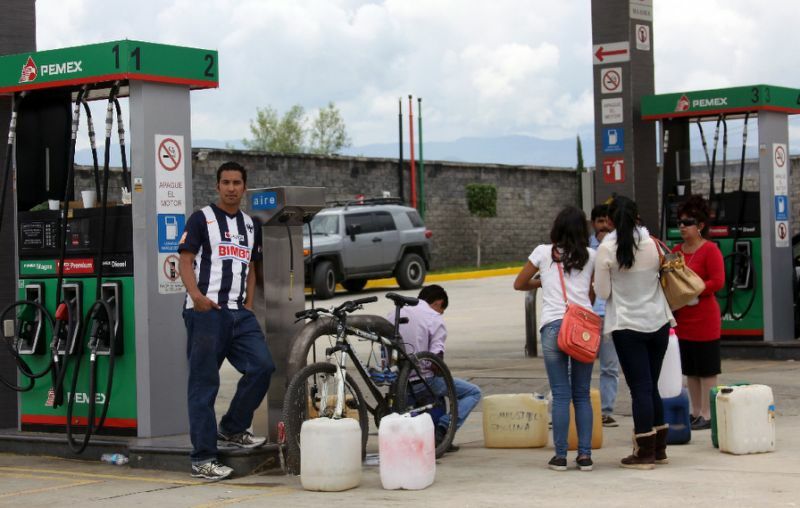 The head of the Chiapas association of gas stations told local media there might be some gasoline left in the city of Tapachula, near the Guatemala border, but that in 90 percent of gas stations, supplies ran out by Wednesday morning. Groups of protesters, sometimes just a handful, have blocked highways at about three dozen places. They sometimes let cars pass, but refused to allow freight and tanker trucks through. The protesters oppose new laws that require testing of teachers and weaken their unions’ control over hiring. The Interior Department said the blockades had caused many businesses to lose 80 percent of normal sales, putting thousands of jobs at risk. The country’s National Human Rights Commission called on the protesters to stop blocking roads. “The legitimate right to peaceful protest cannot override the rights of others to free movement, nor can the daily life and survival of Oaxaca be held hostage to political demands,” the commission wrote in a statement.